The Twistfix Ground Anchor Screw offers a versatile solution to the issue of firmly securing items directly to the ground without need for special driving equipment, concrete or bonding agents. The twisted screw anchor is driven directly into the earth using a lump hammer or sledge hammer; its helical form setting up self-rotating entry as it cork-screws deep into the ground to provide a firm anchorage. Due to its precision engineered helix the hammer-driven the anchor can be quickly and easily removed by simply unscrewing it out of the ground and setting it aside for re-use. 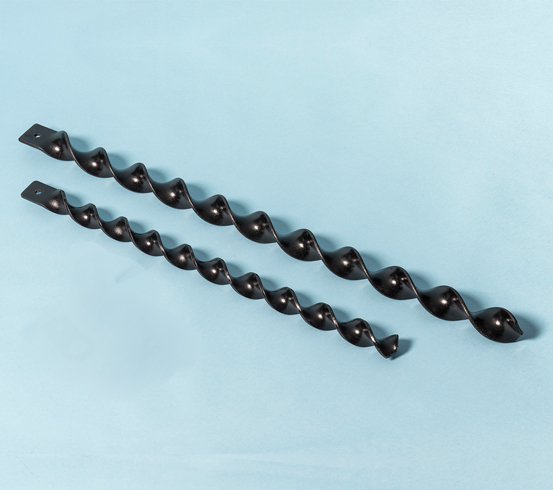 This version of Twistfix Ground Anchor Screw is sold without brackets; it is available with a choice of 40mm and 50mm diameter helix and in a selection of different lengths. Brilliant piece of kit, used to tether large inflatable screen for Outdoor Cinema use!